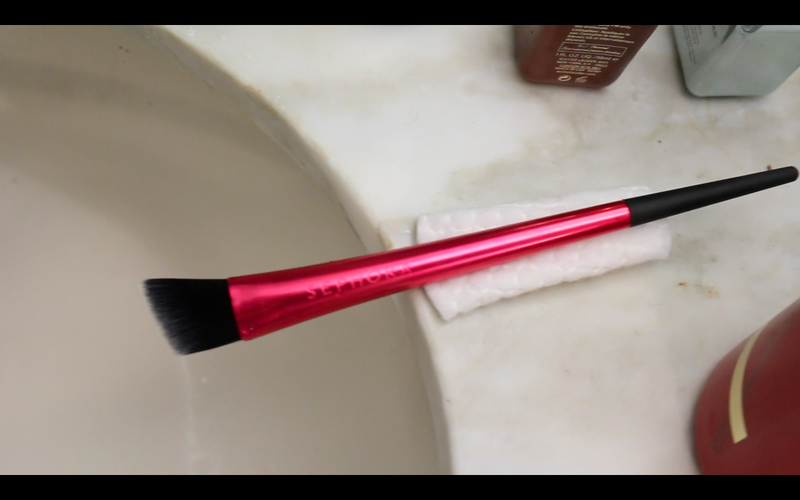 ‘When using cream products, or highly pigmented products, clean your brush right away’. The first time I used cream products I didn’t clean my brush until the next day, by then the brush was completely destroyed because I was scrubbing it with a brush cleanser and it seemed to only make the problem worse, finally I had to throw my beautiful MAC 188 brush in the garbage or as Don likes to say “that was $35 thrown away”. So I thought I would show you how to remove cream products from your brush anytime after using it i.e. right after or a week later, this should work. First you need a few supplies: Shampoo, Rubbing Alcohol, Extra Virgin Olive Oil, and Cotton Pads. 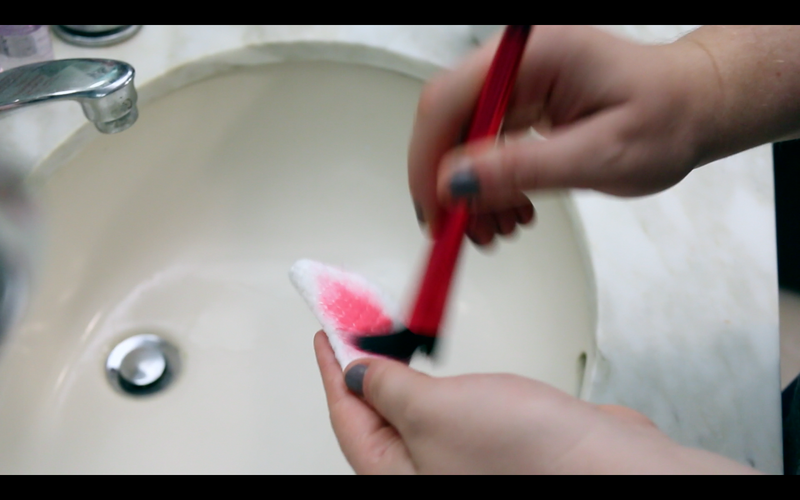 You want to apply the Rubbing Alcohol to the Cotton Pad and begin swiping your dirty brush back and forth as well as swirling it around. 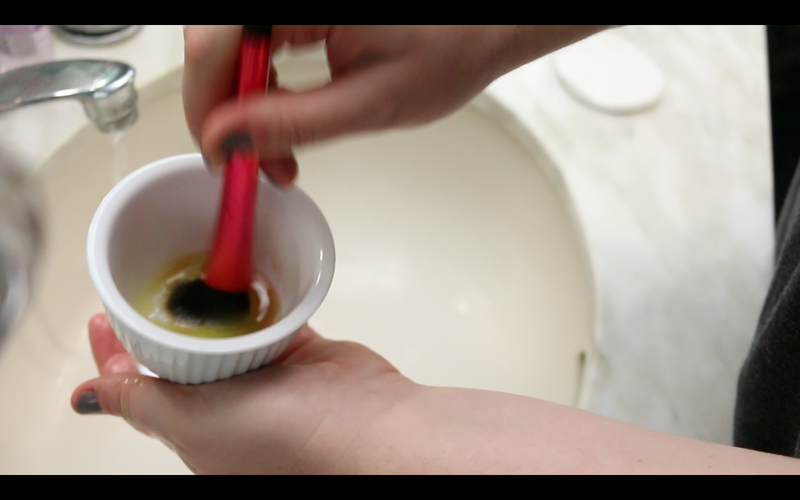 Then dip your brush into the olive oil and allow the brush to stay in the oil for at least 30 seconds, you can swipe the brush against the edge of the bowl to release some of the makeup. 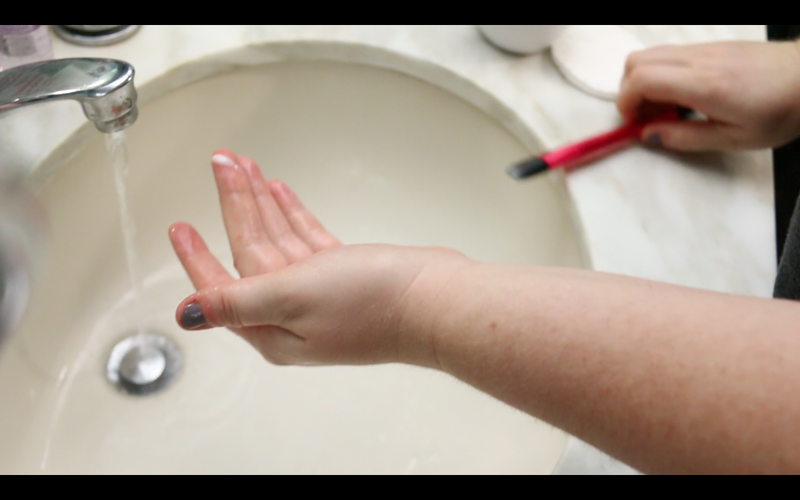 Turn on your hot/warm water (no cold as that will make the oil solidify), and push the oil off the brush by gripping tightly and pushing your hand foreword. Repeat this step until the oil is removed. 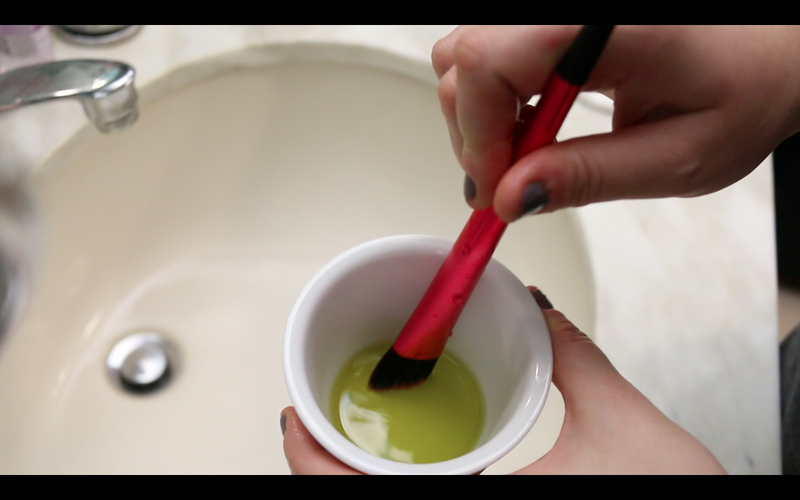 I like to dip my brush in the oil 2-3 times before moving on, just to insure the makeup is being removed as well as your brushes are being conditioned since the Rubbing Alcohol is sooooooo (hehe) drying. 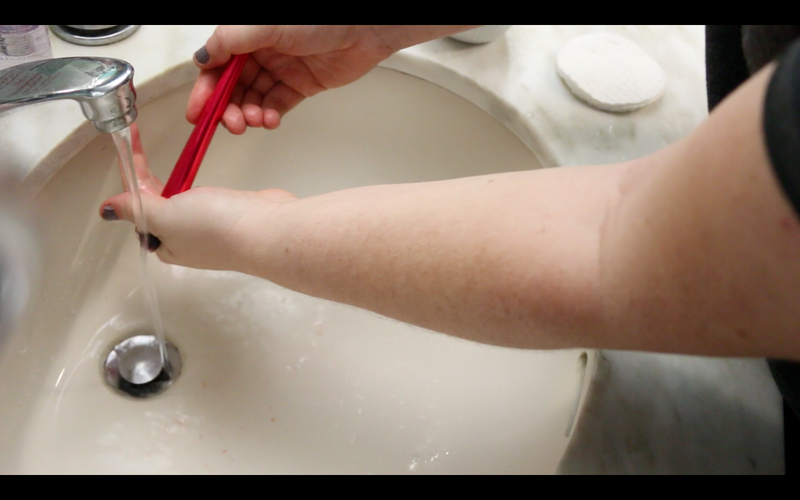 Then taking a small pea size amount of shampoo swirl your brush around to thoroughly clean your brush. I like to swirl it on my fingers rather than my palm because my fingers act as a washboard and helps remove all of the product. 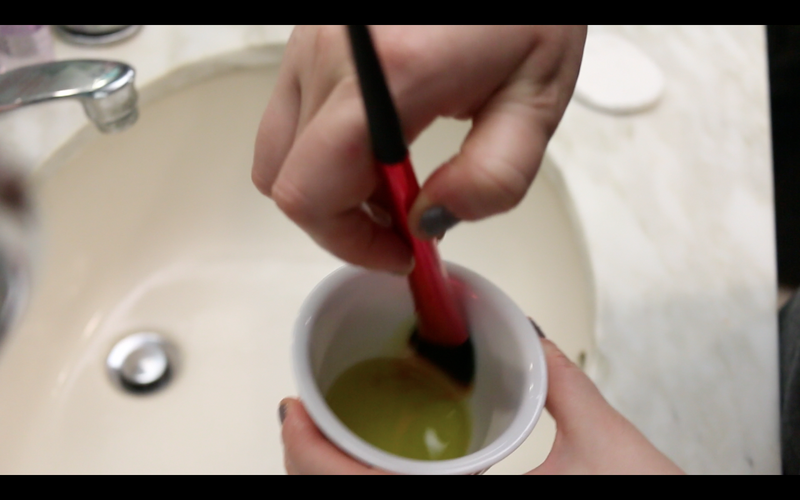 Then repeat this step to insure you have removed all the oil from your brush. Then lay your brush so the bristle part is at an angel facing down so the water will drain properly and not go up into the furrow and destroy your brush. 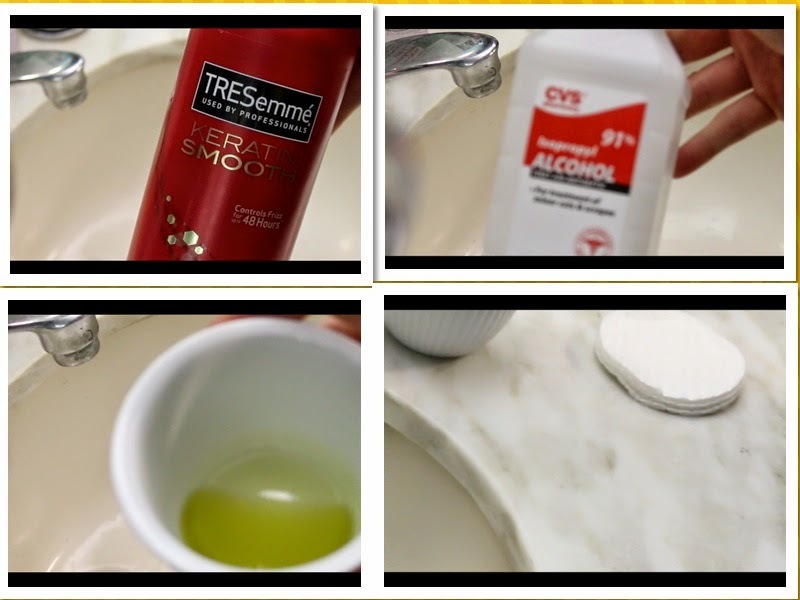 Once dry you can again apply those cream products we all love to use.